According to Money magazine, replacing your old, drafty windows with replacement windows can produce 15% total energy savings for the average American homeowner. For homeowners in Rock Springs, Wyoming, you can also improve the beauty of your home and make cleaning a breeze with custom window replacement. Advanced Window Products are your go-to for all your Rock Springs window replacement needs. Offering lead safe certified installations and Energy Star Certified products, all of our windows and doors are custom made with the highest grade available. With over 25 years in business, we are proud to be Gephardt approved and awarded an A + BBB rating. 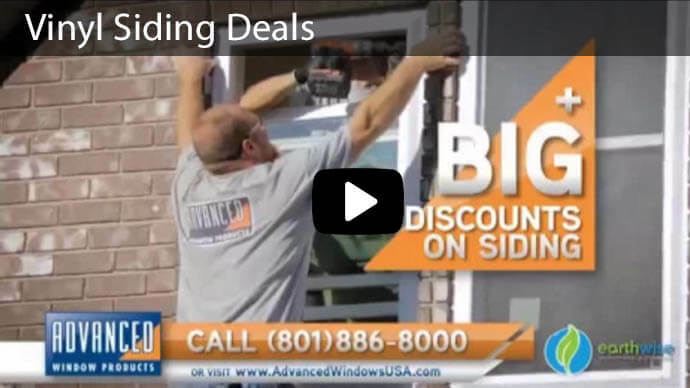 Give us a call today for a free bid on your new replacement windows in Rock Springs, Wyoming. Have you noticed increased water condensation on your glass? Do you feel a pocket of cold or hot air as you walk past your windows? Does the window frame, which was originally installed in your home seem flimsy or warped? These are just a few of the reasons why homeowners choose to get a free estimate from Advanced Window Products on your new replacement windows. Why Choose Advanced Window Products? If you want to receive the following benefits from replacement windows in Rock Springs, please come by our factory showroom in downtown Salt Lake City or call us for a free estimate in your home. Replacing your existing windows with vinyl energy efficient windows will protect your home from the extreme cold of winter and the sticky heat of summer. Quality windows are constructed of insulating glass and rigid frames to create a barrier to mother nature’s worst elements. Low-E coatings and argon gas can further improve your protection. NFRC (National Fenestration Rating Council) ratings inform consumers about the level of energy efficiency based on performance tests. Only windows with an NFRC label should be considered to efficiently protect your home from weather elements. At Advanced Window Products, all of our replacement windows are AAMA, NFRC, and Energy Star Certified, so you can be confident our windows will improve your energy efficiency and make your home more comfortable. With 0% down and 0% interest financing for 60 months on approved credit, call today to start improving your home comfort and reducing your bills. Many homeowners are focused on living green. Replacing old windows and doors with vinyl replacements can reduce a home’s carbon footprint by reducing the amount of carbon dioxide released into the air. At Advanced Window Products, we believe that responsible business owners should protect the environment and community. We are a part of Buy Local First Utah and support many charities including Habitat for Humanity and Utah Make a Wish Foundation. Outdated windows can make the exterior of a home look drab and shabby. By replacing the windows, homeowners can add beauty to the exterior of the home and increase it’s value. Because our replacement windows are easy to clean, the overall appearance of the home is easier to maintain. Advanced Window Products offer a variety of styles and frame colors to choose from, so you can create the look that matches your taste and design preferences. Typically, homeowners have to run up exaggerated credit card bills or apply for home remodeling/improvement loans to afford new windows. Our 0% interest for up to 60 months financing solution provides you a less expensive choice to have new custom-shaped windows installed in your home. Meaning, if you pay the full balance of your window purchase before the 60 months period elapses, all the interest will be waived. You can take advantage of this financing option even when you don’t have enough funds for installing new windows and enjoy lower energy bills and increase the value of your home. Some of the benefits of Advanced Windows Products’ financing option include expedient monthly payments, deferred payment options, and no upfront fees. A polite and friendly experience when working with one of our professional installers. Custom crafted windows, just for your home, based on the exact specifications of your windows. An efficient and quick installation of your new home windows. An easy window cleaning experience. For replacement windows in Rock Springs Wyoming, give us a call today at 801-505-9622 for your free estimate.